What is the Post-Rapture / Pre-Tribulation Gap Period? This article has been revised from the commentary of the book entitled, “Apocalypse Road, Revelation for the Final Generation.” One of the central purposes of the book is to explore and explain the mysterious gap period that exists between the Rapture of the Christian Church and the seven-year Tribulation-Period (Trib-period). According to 1 Corinthians 15:52, the Rapture happens in the short time it takes someone to blink their eyes. Within that same split-second the people who are left behind are thrust into this vastly unexplored interval of time. Therefore, it is critically important for them to know how long the time-gap is, and what happens within it. Many Bible prophecy experts today are recognizing that it’s not the Rapture that starts the Trib-period. Rather, it begins with the confirmation of the covenant of Daniel 9:27 by the Antichrist, between Israel and some other party. Therefore, a gap can exist between the fulfillment of these two distinctly separate events. (The other covenanting party is identified typologically in Isaiah 28:15, 18 as “Death and Sheol.” Who or what “Death and Sheol” represents, and what role they play in the end times, is also explored within the Apocalypse Road book). How Long is the Post-Rapture / Pre-trib Gap Period? This Post Rapture / Pre-Trib gap period is like the Church age in that neither was given a predetermined length of existence within the Scriptures. Although some prophetic periods of time are given prescribed time allotments, the time-span of the gap period is unspecified. Some Bible prophecy teachers suggest that this time-gap could be as short as twenty-four hours. Their logic is generally based upon the thinking that once the Church is removed, the wrath of God quickly follows. Since the Church is not appointed to the wrath of God per Scriptures like Romans 5:9, 1 Thessalonians 1:10 and 5:9 and elsewhere, they presume that the wrath of God could commence swiftly in the aftermath of the Rapture. However, upon a closer examination it may not be as simple as saying, “Out with the good (grace) and in with the bad (wrath).” The gap period seems to include events that legitimately take time to manifest into action. Before exploring those events, it’s important to recognize that if the gap period extends beyond a day, a week, or even a month, then it is safe to suggest that this time-period will contain some globally impacting events! The Rapture itself will be a world changing episode and the biblically predicted scenarios that follow it, in the gap and on into the Trib-period, will also be earth shaking. The instantaneous disappearances of millions of people worldwide will likely deeply distress the masses left behind. Emotions of loneliness and despair will characterize those who have personally lost loved ones. Lawlessness will abound as people from various walks of life are raptured and permanently removed from their personal relationships and business positions. Uncontrollable civil disobedience will plague various parts of the world. All of this, along with the fulfillment of the many prophecies identified within Apocalypse Road will make mankind vulnerable to supernatural deception and dictatorial leadership. 2 Thessalonians 2:1-10 foretells that Satan will use this scenario to deceive humanity through signs and lying wonders. Ultimately, the deception will provide the Harlot world religion and the Antichrist with the platforms they need to rule the world during their respective periods. Why the Gap Period Takes Time? There are two primary reasons to conclude that the gap period takes more than a day, week or even a month. First, the fulfillment of the several gap prophecies takes time. Second, all aspects of the Daniel 9:27 covenant need to be in place. It is the confirmation of this covenant that concludes the Post-Rapture / Pre-Trib gap period. 1. The revealing of the Antichrist, (2 Thessalonians 2:8, Revelation 6:1-2). 2. Ezekiel 38 and 39, the Gog of Magog War. (If this war hasn’t happened prior to the Rapture, then it will likely happen in the gap period). 3. The ministries of the 144,000 Jewish witnesses, (Rev. 7:1-8). 4. The rise of the Harlot world religion, (Rev. 17). 5. The martyrdom of the Fifth Seal Saints, (Rev. 6:9-11). 6. The perpetration of the “overflowing scourge,” which causes Israel to become a signatory to the false covenant. (Isaiah 28:15, 18). However, if none of the above events occur in the gap, there is another solid reason to believe that the gap lasts longer than a day, week or even a month. This alternative reason is predicated upon, a MAJOR PREMISE, which is supported by several minor premises. MAJOR PREMISE: The seven year Trib-period doesn’t start until the Antichrist confirms the covenant of Daniel 9:27 between Israel and some other party. Until the Trib-period starts, the Post-Rapture / Pre-Trib gap period can’t conclude. Minor Premise #1: In order for the Daniel 9:27 covenant to be consummated, Israel, the Antichrist and the other party to the covenant must all exist. Minor Premise #2: More than exist, the Antichrist must have also risen to a position of prominent political power. This world leader must achieve sufficient political prowess and power to earn the respect of both Israel and the other covenanting party. Otherwise, they would not allow him to confirm the covenant between them. For instance, US Presidents Jimmy Carter and Bill Clinton confirmed separate agreements between Israel and Egypt in 1979, (Carter), and Israel and Jordan in 1994, (Clinton). In these scenarios, Israel, Egypt and Jordan trusted these political leaders to mediate between them. Likewise, Israel and the other covenanting party will trust the Antichrist as the intermediator between them. Minor Premise #3: The overflowing scourge spoken of in Isaiah 28:15 must already be taking place within the world. According to Isaiah, Israel becomes a party to the covenant in order to avoid this overflowing scourge. The scourge can’t be a figment of Israel’s future fearful imagination, but it must have already become a legitimate active threat to the national interests of the Jewish state. The examples of Egypt and Jordan are cases in point. These two Arab nations had been in three major wars against Israel in 1948, 1967 and 1973. Both countries, along with Israel, all decided that it was in their collective national interests to make a peace-pact together. Likewise, Israel and “Death and Sheol’s” representation on earth at the time of the covenant’s confirmation will mutually agree to make a seven-year agreement together. These premises establish that Israel feels the need to make a covenant with some party that can prevent an overflowing scourge from adversely affecting the Jewish state. This implies that the other party is either the perpetrator of the overflowing scourge, or that they have the capability to protect Israel somehow from being victimized by the scourge. Israel would not make a pact with a party that was incapable of controlling this overflowing scourge. The Bible declares that there is a FINAL GENERATION. Due to the miraculously restored existence of Israel and the rapid convergence of all the end times biblical signs, many prophecy teachers sincerely believe that this is the FINAL GENERATION. More prophetic information is devoted to them in the Bible than any other generation that ever lived, including those who were alive at the first coming of Christ! Apocalypse Road is written primarily for that FINAL GENERATION! There is a strong possibility that the FINAL GENERATION is alive today. If so, some members within this specific generation will undoubtedly experience both the Post-Rapture / Pre-Trib gap period and the ensuing seven-year Tribulation Period. If this is the case, then everyone that is alive today, and up until the time of the Rapture, is written about in some unfulfilled end time’s Bible prophecy. This means that you, the reader can know your future! If you are a believer and the Rapture has yet to occur, then you will be Raptured, providing that you don’t die beforehand. If you, or someone you love, are an unbeliever at the time of the Rapture, then you or that loved one fall into one of the Post-Rapture people groups listed below. CAVEAT: Please note that these two witnesses may not presently be on the planet, but might miraculously appear on the earth when the timing of their ministries commences. The biblical precedent for this occurred at the Mount of Transfiguration with Moses and Elijah in Matthew 17.
a. 5th Seal Saints, (Revelation 6:9-11) These are people who appear to become believers in the Post Rapture-Pre-trib gap period. The 5th Seal Saints will be martyred for the word of God and their Christian testimonies. They are portrayed in prophecy as slain souls. b. Fellow Servants of the 5th Seal Saints, (Revelation 6:11) These are people who appear to become believers during the first half of the Tribulation Period (Trib-period). They will also be martyred for the same spiritual reasons as the 5th Seal Saints. c.	The Brethren of the Fellow Servants of the Fifth Seal Saints, (Revelation 6:11, 7:9-17, 15:2 and 20:4) These are people who appear to become believers during the second half of the Trib-period, i.e. the “Great Tribulation.” They will be martyred for refusing to worship the image of the Antichrist in Revelation 13:15.
d.	Sheep Gentiles, (Matthew 25:31-40) These are Christians that survive through the Gap and the Tribulation Periods. They will likely include the faithful remnants from Egypt, (Isaiah 19:23-25) Assyria, (Isaiah 19:23-25) Jordan, (Jeremiah 48:47, 49:6) Iran, (Jeremiah 49:39) and elsewhere. a. Orthodox Jews, (Isaiah 28:15, 18) These Jews will rebuild the third Jewish temple and reinstate the sacrificial system of the Mosaic Law. They will be among the two-thirds of the Jewish peoples that are killed by the Antichrist in Zechariah 13:8.
b.	Secular Jews, this is a presumptive category for Jews that may not be classified as either the faithful remnant of saved Jews, or unsaved Orthodox Jews. Since they remain as unbelievers in Christ, their prophetic future is the same as the unbelieving Orthodox Jews. c.	Goat Gentiles, (Matthew 25:41-46) Unbelievers that survive the Trib-period. (Some of these may have or not have believed in either the Harlot or Antichrist systems). When a Church age believer truly comprehends the tragic plights of the Post Rapture populations, they should be burdened with a sincere concern for their well-being. If this is the FINAL GENERATION, then these peoples are among us today. It could be a spouse, child, grandchild, friend, neighbor, co-worker, business associate, or someone else within the sphere of your influence. If they don’t accept Christ as their Savior prior to the Rapture, they run the high risk of being killed for their faith, or being eternally damned for their lack of it. 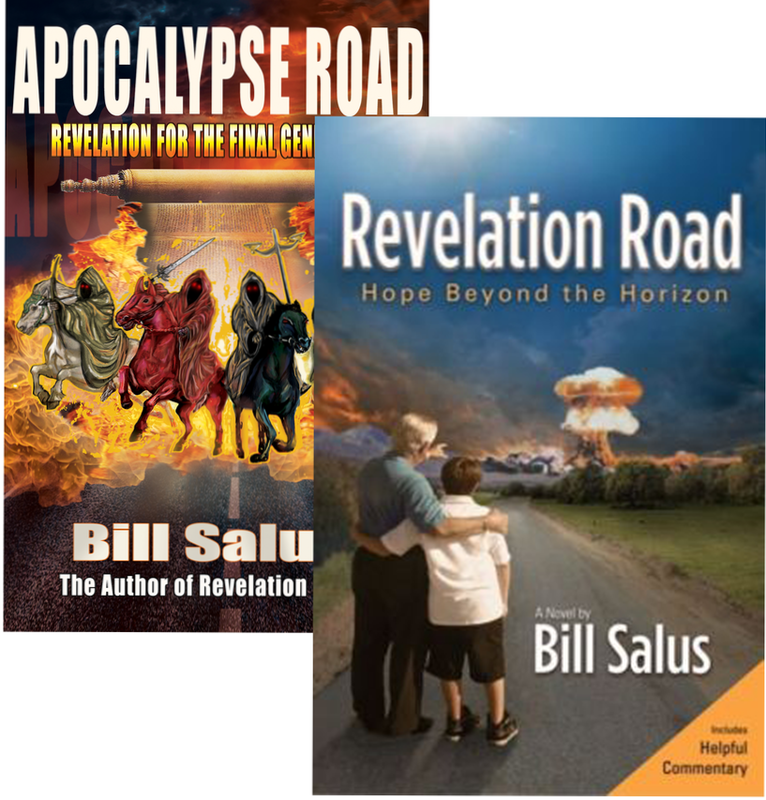 Apocalypse Road is a FINAL WARNING to the FINAL GENERATION to get right with the Lord NOW, before it’s too late!